The first part of the process was to play with the board game until we got to know it by heart. We needed to establish the core mechanics and features of the game, what makes the board game unique and what it is renowned for. Based on this analysis, we established that the game needed to include procedural dungeon system, phase changes, encounters, traps, and all of that good stuff. Then, after prioritizing these features, we needed to find what works as is for a video game and what needs to be changed, altered, or removed completely. For example, we wanted the digital version to have a faster pace than the board game, so we chose to automate some actions such as the dice throw as well as cards and tiles shuffling. This way, players can focus on their strategy and enjoying the game rather than keeping track of everything. We were also free to add custom rules not possible in the physical version of the game, such as forcing certain encounters in specific adventures, or alter the spawn rate of certain monsters to balance the difficulty. We had to do a deep analysis of the board game rules, as well as the game design to ensure we had a complete understanding. Then we translated each power, status, behavior, etc. into logic parts, keeping in mind aspects such as reusability and simplicity during the process. One of the most challenging part of this process was to create a pathfinding algorithm able to handle different units (squares & tiles) and different entity sizes. We ended up creating a very flexible system that detected the pieces on the board and reacted accordingly. We also included parameters that the game designers could use to define the possible behaviors of each characters and game elements. The artistic part of the game was pretty straightforward. Everything in the game was part of the D&D universe and had already been established in detail in previous media, such as the board game or the role-playing game. The appearance, weapons and backstory were provided to us by Wizards of the Coast and we had specific guideline to follow to make sure the content stayed true to the D&D universe. Except for a few minor modifications, we were able to integrate every main character, monsters and villains without headaches. A big challenge we faced was to bring out the personality of each character with animations and visual effects. Each ability had to have a characteristic animation and/or effects that would define the look and feel and make it memorable and unique. The part where we had a lot more leeway was when designing the environment. We absolutely stayed true to the location of the board game, but there was very little visual reference material we could work from. This freed us to come up with our own interpretation of what theses specific locations could look like. This is when we faced our second big challenge: how to create procedurally generated environments with interesting lighting that can fit together like puzzle pieces while still running smoothly on a wide range of machines. When designing the puzzle system, we wanted enough diversity to be interesting without being confusing. In the board games, every tile is a flat cardboard puzzle piece, but in the digital version we wanted the game to come alive by adding 3D trees, walls, lights, etc. around the edges and empty spaces of the tiles. This created a problem where, in certain conditions, we lost characters from view behind trees or other big objects. To work around this, we made disappearing environment elements and see-through shaders to keep all characters visible at all time. Since every tile can be next to any other tile, we had to make sure that they fit well together and appear seamless. One other concern was how the grid would be displayed and also the visual representation of the tile separation. Both of theses aspects are an important part of the player strategy so they had to apparent without being distracting. Using Unity as the game engine allowed us to speed up repetitive tasks and add validations to our process by using editor scripts. One example is the tile editor. It was created following design directives to speed up the creation and modification of each of our virtual board game tiles. Creating a tile became a matter of seconds once this tool was made. Such tools helped prevent bugs or facilitated fixing them by allowing quick modifications of many aspects of the gameplay (quest objectives, spawn tables, items loot, entity stats, etc.). We also used the component approach when designing the powers, status, encounters, traps, etc. By coding each effect as a generic component, the designer was able to reuse much of them for different gameplay features. To manage these components more efficiently, we created a set of custom inspectors and tools for the creation of powers, behaviors, etc. In case of very specific components, we just had to expand the functionalities of our basic components or design a custom inspector to satisfy the requirements. The Dungeons & Dragons: Adventure System has many different versions, such as Legend of Drizzt or Temple of Elemental Evil just to name a few. 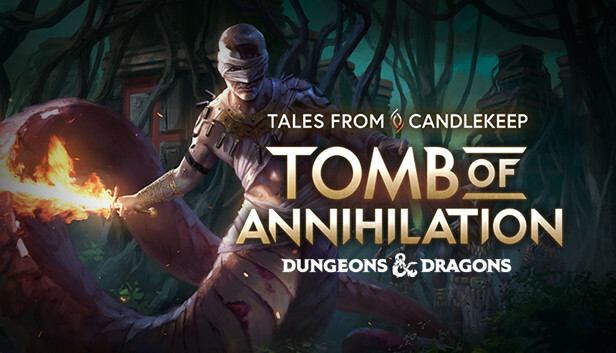 As soon as we started working on this game, it became important for us that we built Tales from Candlekeep: Tomb of Annihilation in a way that would allow us to easily add new content like heroes, tiles, and adventures from the other board games, and even mix them together. To ensure that such updates could be done as easily as possible, we used an asset bundle system for the management of our assets. This way, it would be easier to produce downloadable content (DLCs) for Steam or port the game to other platforms. Having a procedural generation of our board game, we also needed to optimize our preloading system to prevent delay when generating new monsters or parts of the board. Combined with the editor tools, this allowed us to make quick modification of our game and validate them when releasing a new version. Still looking ahead, we built the core game system in such a way that our game could be stripped of its content and used as a template for further similar projects, including the tools and custom inspectors we developed. This is already paying off as we’re generating interest for new board games adaptations from other brands. 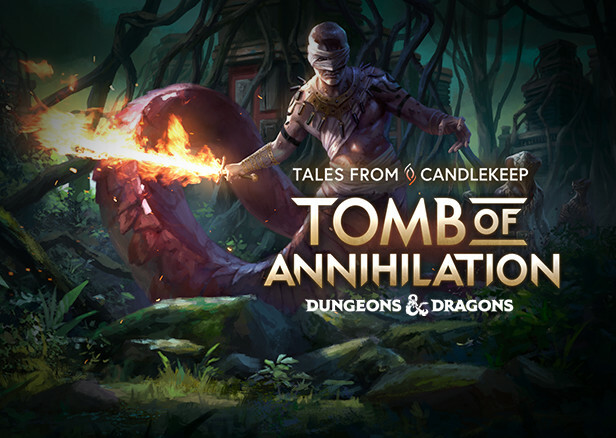 Ultimately, this common architecture could also mean that innovations made on future projects could see their way back to Tales from Candlekeep: Tomb of Annihilation in future updates! I absolutely love the art style of the puzzle pieces, it really makes the game come to life from a board!